Balinese handcrafted wooden dolls, dolls are hand crafted, made of wood. This wooden dolls usually are small, and has been known up to foreign countries. Usually made for souvenirs and gifts. Wooden doll with the likeness of a duck is most typical in Bali. Although there are many types of dolls are made, and most of the animals. There is something unique about these dolls. One package stuffed duck, consists of three ducks, made in the same form, but with different sizes. 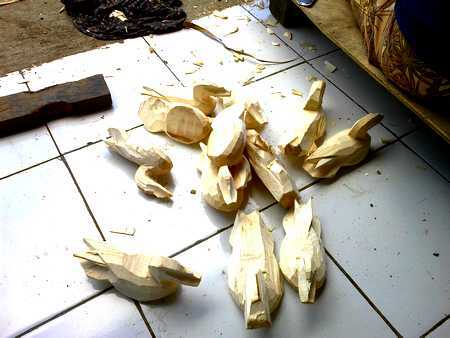 Different sizes is characteristic of artificial wood duck stuffed Balinese. This type of doll is usually on display and for sale at the souvenir and handicraft shop in Bali. Largely centered in Gianyar regency. Because in Gianyar district is the center of arts and crafts in Bali. There is very easy to get a hand-crafted wooden dolls made in the Balinese. 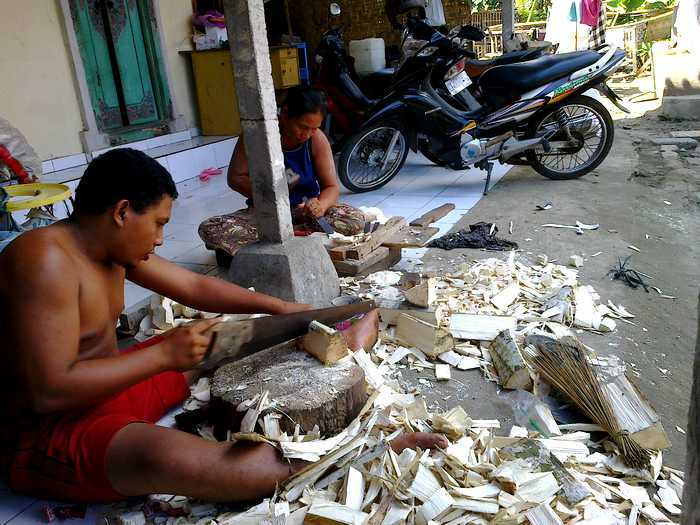 If buyers want to get a souvenir wooden doll crafts made in the Balinese in abundance. Should get it by ordering in advance. It would be better to book directly on the craftsman. Because it would get relatively cheaper price. Manufacture of wooden doll crafts, requires a very long time. Because making wooden dolls have to go through many processes. Starting from a suitable timber and reservations as needed, until the coloring process is quite long. It is estimated to create 100 wooden doll, takes one to two weeks. Previously, before the Bali bombings, carried out by terrorists, craft wooden puppet into a prima donna for the Balinese. Because wooden doll crafts, craft is very profitable. Because so many tourists who come to Bali, buy wooden dolls in large quantities, to be brought to their home country, as gifts for their friends. But after the Bali bombing tragedy which happened twice in Kuta, many craftsmen wooden doll loses his job. The decreased number of foreign tourists coming. Many galleries and art shops that went bankrupt and closed. But this time sejap Bali's tourism industry is getting better. Wooden doll artisans in Bali is growing and growing again. The new generation of Balinese began to pursue the manufacture of wooden dolls. Especially in Gianyar district, which is the center of arts and crafts in Bali. 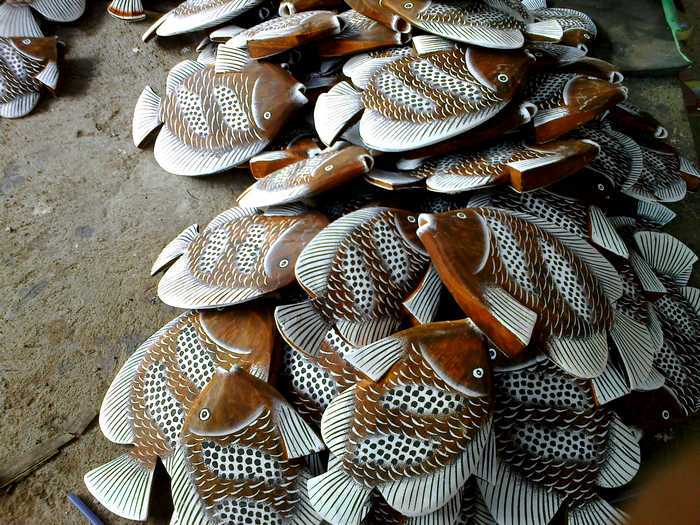 The increasing number of orders on the wooden puppet craftsmen in Bali, is also growing economic activities in Bali. At least the Balinese began to gain opportunities in the development of tourism industry in Bali. Not only dominated by investors more incentive to build accommodation in Bali, but also local residents who increasingly compete for money from the tourism industry.